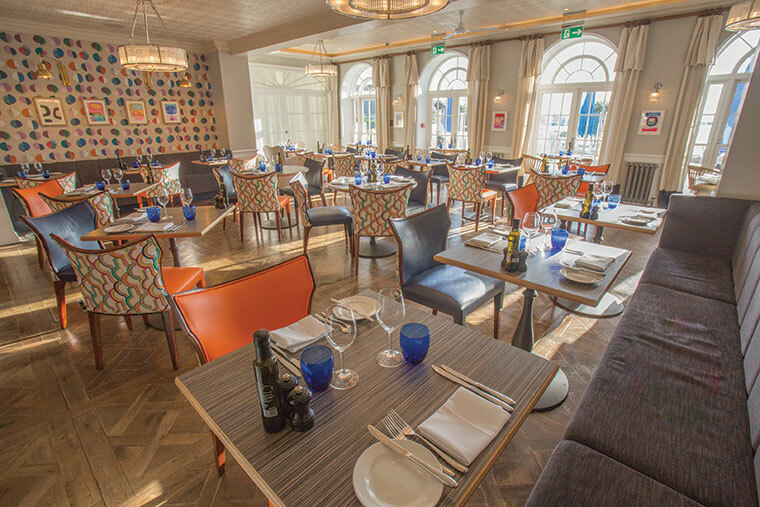 Spring has arrived and it surely feels like the seasons are changing at the Upper Deck Bar & Restaurant in Christchurch Harbour Hotel: a place where locally-sourced delights feed the soul, and stunning terrace views warm up the heart. 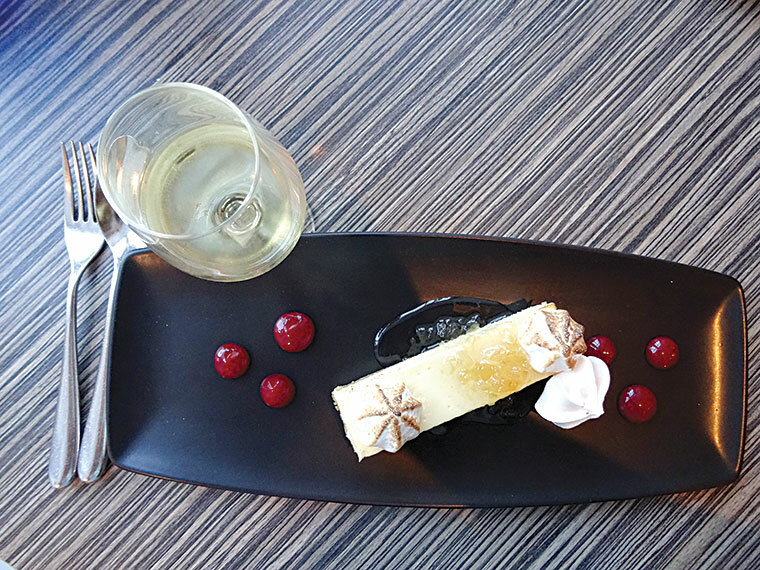 The Upper Deck offers something for everyone – from cocktails and bar snacks, to afternoon tea and an exquisite dinner menu. In fact, as Adam and I arrived half an hour early, before the beginning of dinner service, we noticed how many people were sitting outside on the terrace, enjoying a long lunch with a bottle of fizz underneath the stunning sunshine. We joined them for a cocktail on the terrace, relaxing with the sounds of ambient music that make you forget all your worries. However, the delicious new A La Carte spring menu was the main reason behind our visit, and we couldn’t wait to try it out. Richard Warr, operations manager, took us through the offerings, explaining the thought process behind the menu was to be more approachable and accessible to guests, while keeping the all-time favourites, such as Chef Alex Aitken’s signature Twice Baked Cheese Souffle, which seemed to be as popular as ever among the other diners. To us, it seemed that the Upper Deck has truly found its own unique voice. While we were studying the menu and making sure we made the right choices for our starters and mains, Richard suggested that we began with a light bite of Popcorn Chicken and sun-dried tomato bread with butter. The Popcorn Chicken, so gentle on the inside and crispy on the outside, was the perfect mouth-watering introduction to our evening. 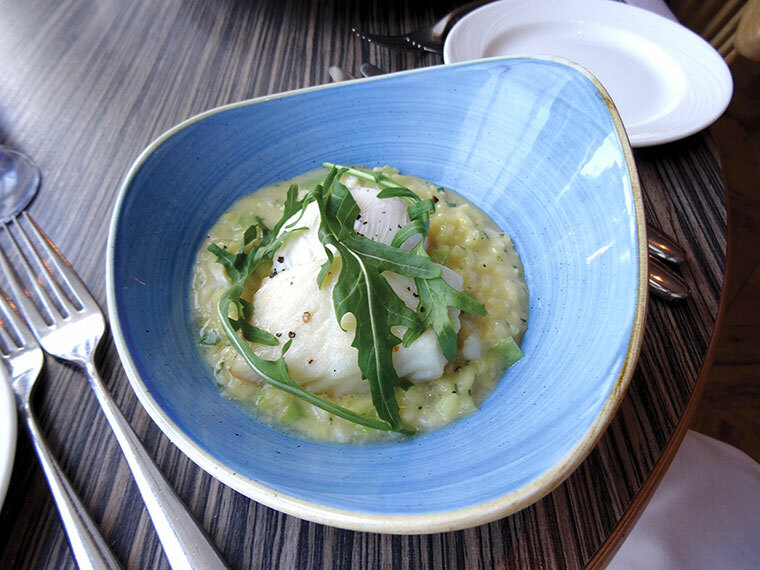 Moving on from this, Adam ordered the Saffron Risotto with Smoked Haddock and Leek topped with a poached egg, and I, being the seafood lover that I am, went for the locally-sourced Christchurch Crab Shell, served in spiced thermidor sauce and baked in the half shell. 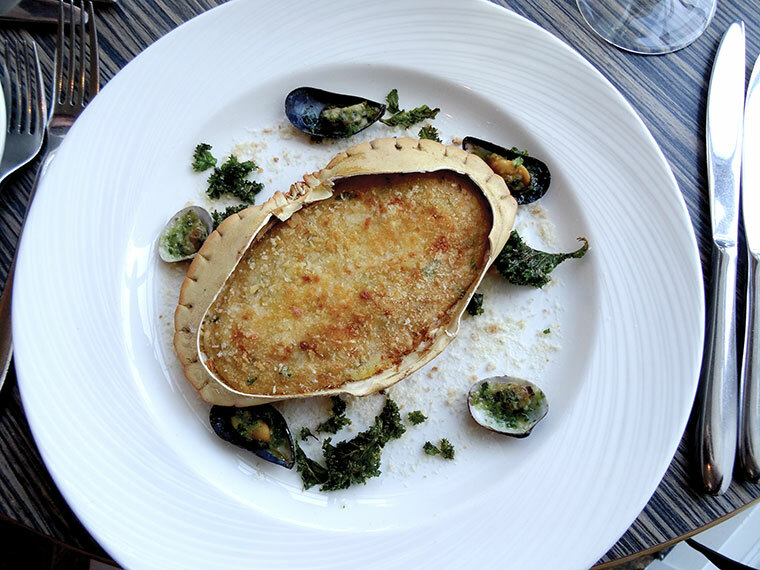 To accompany these tremendous plates of food, the wine expert (and mind you, we never use this word lightly) Raphael was more than excited to recommend the perfect glasses of wine with our starters. Now, whenever I go to a seafood restaurant I always look for mussels, so for me, the Upper Deck was ticking all the boxes. 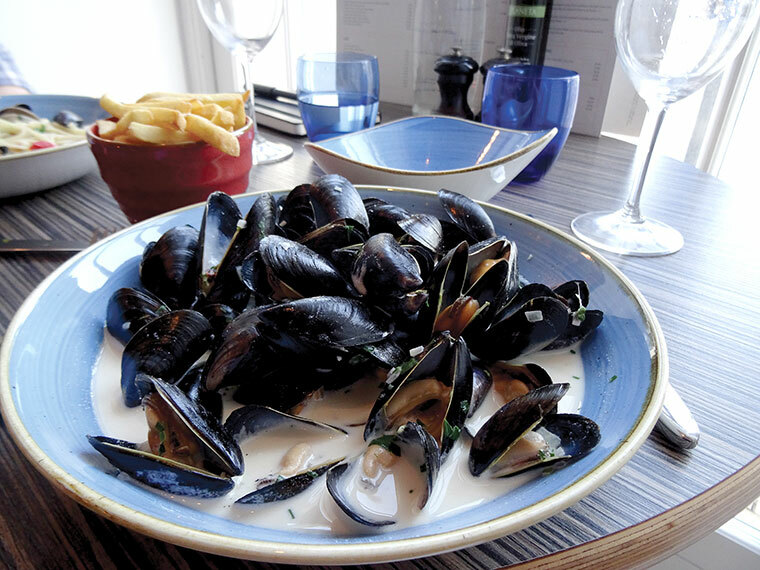 The Moules Frites or Mussels and Cream with Crisp Fries was my number one choice for a main. The freshness of the mussels, combined with the crispiness of the fries was all brought to a completely new level with the light cream sauce. 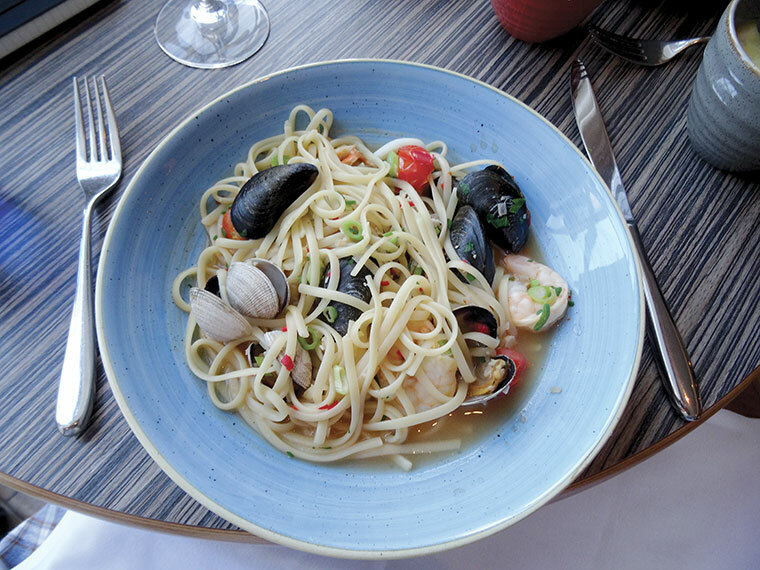 Adam’s choice of main, the Seafood Linguine with shellfish, chilli and garlic, was a mixture of the best of Christchurch and the best of Italy in one bowl. To top off this already brilliant food experience, we moved on to the desserts. Here is when Adam completely indulged himself ordering the Rhubarb Crumble Cheesecake. “Phenomenal. This is phenomenal,” he kept repeating again and again. He thinks it might be the best dessert he’s ever had. 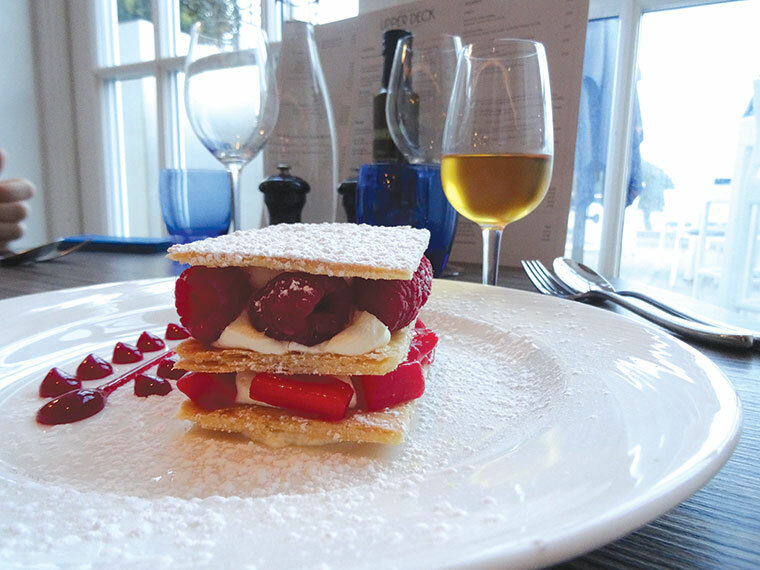 For me, though, the Rhubarb and Raspberry Millefeuille was an excellent choice with its light crème and freshness of the fruit, which really finished off the meal. The dessert wines recommended by Raphael were real show-stoppers. Adam was served the delicate and subtle Late Harvest Tokaji Patricius Hungary 2015, while I enjoyed a glass of the fantastic and super sticky Late Harvest Chenin Blanc Ken Forrester South Africa 2013. This was undoubtedly the perfect finale to an evening filled with great food, great customer service and great company.